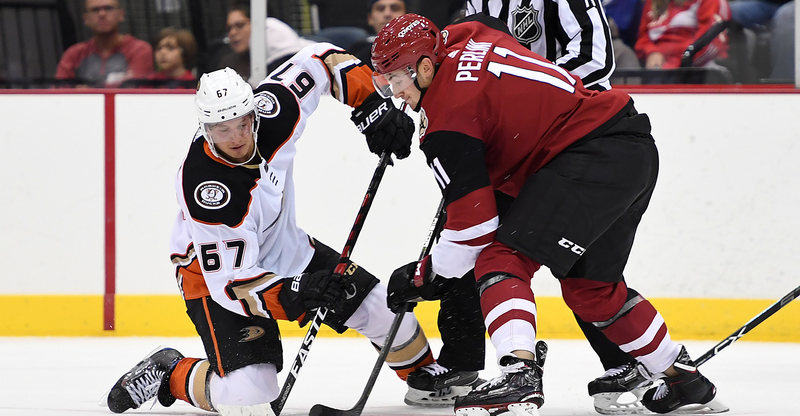 The Arizona Coyotes fell just short in their loss to the Anaheim Ducks Monday night in what was the club’s fourth preseason game, losing 6-4 in front of 4,720 fans at Tucson Arena. Despite the loss, those in Tucson got a first-hand look at the beauty of player development when a slew of familiar names donned NHL jerseys in an American Hockey League rink. In total, seven players on the Coyotes’ 20-man roster Monday night dressed in games for the Roadrunners last season. Of those names were the likes of Brendan Perlini and Kyle Wood, who each found the back of the net in the first period to give the Coyotes a 2-0 lead. Perlini’s goal, which came just over five minutes into the game, brought back fond memories of his play in Tucson last season, where he scored 14 goals in 17 games. As if scoring in Tucson in a Coyotes jersey was the official turning of a new leaf, Perlini could only reminisce on his time in the Old Pueblo. 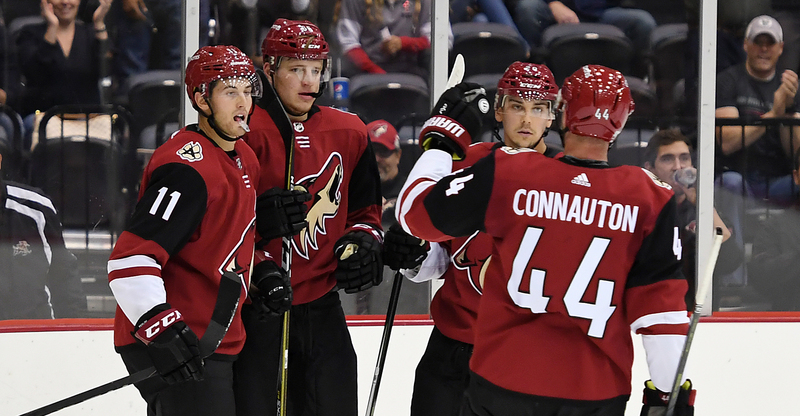 Kyle Wood, who’s fighting to make a lasting impression with the Coyotes as training camp reaches its final stages, was happy to be back in the building where his professional career got off to a blazing start. Wood, like Perlini, scored 14 goals with the Roadrunners last season, and did so while being only one of two players to dress in all 68 of the team’s games. His goal also held a special place with him. The Coyotes are now 1-2-1 this preseason. Roadrunners training camp continues Tuesday morning at Tucson Arena at 11:00 AM.